What type of grass do I typically see in local landscapes? The most common lawn is a cool-season grass called fescue. “Cool-season” refers to the fact that these grasses grow best in cooler weather. 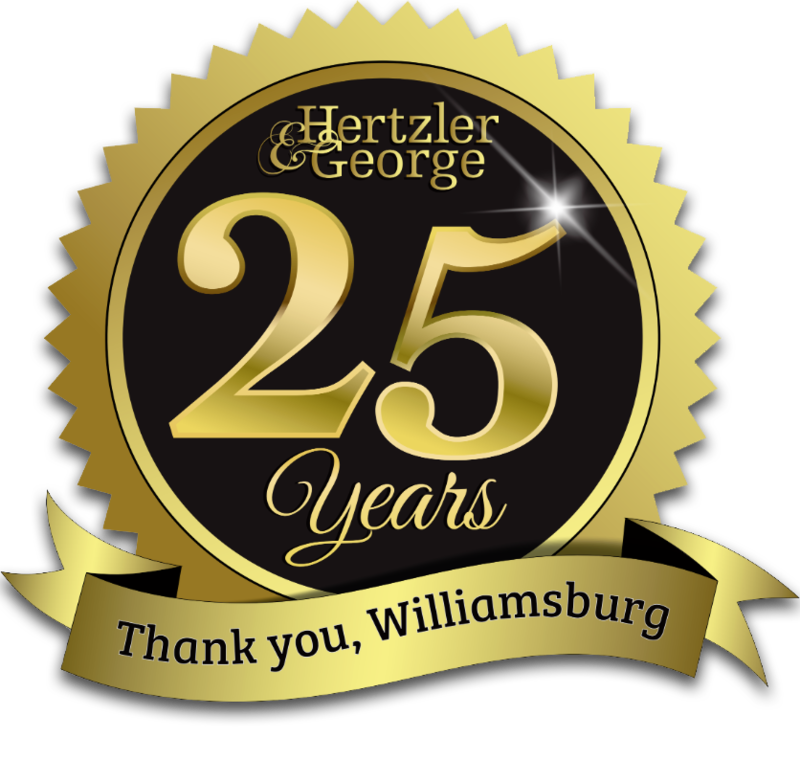 In the Hertzler & George Lawn Program, we use a fescue bluegrass blend which has been hybridized to improve heat and drought tolerance. 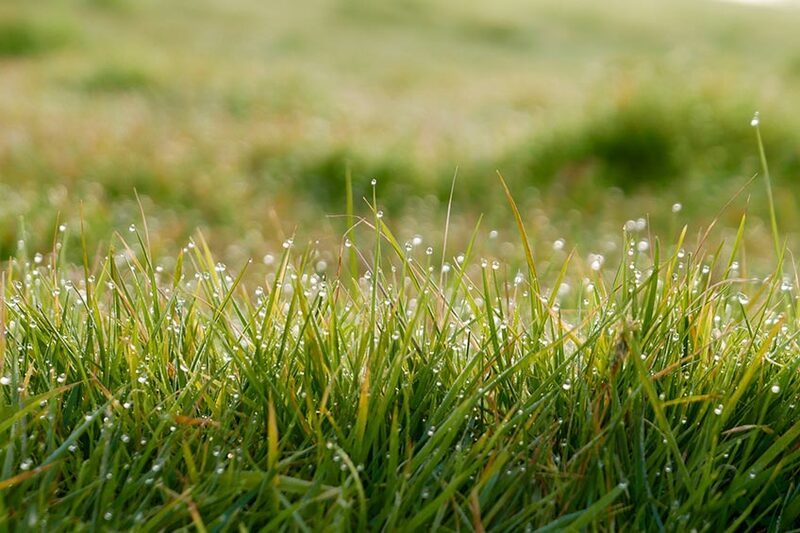 In order to grow throughout the summer your cool-season lawn needs about 1 to 1 ½ inches of water weekly. What if I can’t or don’t want to water that much? One answer is to let your lawn go dormant, which your HG lawn will tolerate. You will have a brown lawn (likely with some green patches in shaded areas) for much of the summer but that’s not all bad. Dormant grass needs much less water than actively growing grass plus it’s less likely to be hit by disease and need extra chemical treatments. And you don’t have to mow dormant grass! Your dormant lawn will revive when the temperature and moisture favor growth again. Is there a type of grass that requires less water? Consider switching to a warm season grass such as zoysia or one of the hybrid Bermudas. These grasses are the ones that go dormant in the winter months. They do well through our summers with as little as half as much water as their cool season counterparts. Warm season grasses spread and fill in thin areas better than fescues, which makes them tolerant to traffic and good at crowding out weeds. I thought Bermuda grass was a weed that should be removed from my lawn! Hybrid Bermuda is different. It is not the invasive pest that common Bermuda a.k.a. wiregrass is. When I do water, how can I make it most effective? It is better to give the week’s supply of water in one or two days as opposed to three or more waterings per week. Less frequent /deeper watering soaks further into the soil which makes a better reserve for plants to draw from than a shallow surface layer of moisture. Why do you tell me to water 1 to 1½ inches instead of telling me how long to set my irrigation timers? Because each system as well as each zone of a system waters at different rates there is no answer by timing. How do I know when my system has watered one inch? You have to measure it. While rain gauges will work, a better method is to set out shallow straight-sided containers throughout your lawn. Something like tuna cans work well as they sample a larger area than most rain gauges. After your system has watered, check each can to get an average of how much your system just put out. Be sure to check soon after watering to get the best results, and you should do this for at least two waterings for a more reliable average. If runoff is a problem try setting your irrigation system to water each zone for a short spell.